With news of additional airline baggage fees coming out almost weekly (and the increased scrutiny over the size of carry-on bags), I was glad to see a new chart created by Kayak.com. In it, they list all of the additional baggage fees that don't get factored into the ticket price for almost two dozen airlines, including the ones making headlines: American ($15/first bag), United ($15/first bag), and Spirit ($15/first bag online, $25/first bag at gate). But then they go a step further: Listing the costs for snacks, pets, unaccompanied minors, and legroom (they list $5 per leg for US Airways, but we're going to assume that's for each leg of your flight). As you're pricing your ticket, it's good to know that if you're planning to send little Billy or Suzie off across the country with their pet Rex, a snack, and an extra bag, it's going to tack on about $257 more to what your ticket costs. Ouch. While Kayak admits that they try to keep the chart updated as best they can, they also link to all of the airline websites, so you can check them out and ensure their charges are up to date. For more ideas on how to avoid fees, check out this article in SmartMoney, which encourages you to embrace the middle seat and start small when packing your bags, among several other travel tips. We'd like to welcome Traveler's newest intern, Carolyn Beeler to the mix. She'll be our go-to blog girl, so be sure to make her feel welcome. Backpacking doesn’t need to be the fly-by-the-seat-of-your-pants endeavor it once was. Though true vagabonds might scoff at the notion of planning ahead, most of us like to know we have a clean, safe place to sleep when we arrive in a new city, even if we are of the more adventurous (read: cash-strapped) breed of traveler. Thanks to a slew of hostel search websites, travelers with an Internet connection and a credit card can easily book beds online before they leave or during an earlier leg of the trip. And perhaps more importantly, given the number of hostel horror stories that are out there (lice, anyone? ), travelers can read user reviews and ratings for each property. Most sites have databases of properties, searchable by city, price, and rating, and many provide a forum for users to post and answer questions. Many also allow users to limit by accommodation type—hostel, budget hotel, campground, etc. Europeanhostels.com, which, contrary to its name, includes listings from around the world, is my current favorite. With the most search criteria of any site I’ve found, the intuitive interface allows users to search by popularity, price, name, rating, and proximity to the city center. The results of your search are prescreened for availability based on your travel dates, and are accompanied by a Google map, which marks each property and features an embedded photo and address. But since it was relaunched just last week, the reviews and customer rankings are predictably lacking. In the meantime, check out hostels.com, which has plenty of user reviews. It also remembers your locations and dates even after you close your browser, saving you a few seconds of typing if you’re shopping around. Hostelworld.com stands out for its “quick compare” feature, which allows you to view the details of several hostels in the same screen. Another handy feature: Both sites break the ratings down into six criteria, from cleanliness to character, so you have a better idea of what to expect from your temporary pad. One catch: The sites tack on a booking fee for each reservation. Not very budget friendly, eh? Most of the charges are minimal, though (and hostels.com offers to forgo the booking fee if you sign up for their mailing list). While no amount of research will ensure that every place you bunk is clean, well-managed, and in a great location, the Internet (once again) has taken some of the guesswork out of travel. Happy surfing! Writer and National Geographic Green Guide "Ecopolitan" blogger Jay Walljasper often contributes to Traveler's Destination Watch Department, and today he sends along a dispatch from the wilds of Minnesota. While Lake Wobegon is a figment of humorist Garrison Keillor’s imagination, the small towns he celebrates each week on his show A Prairie Home Companion are real. 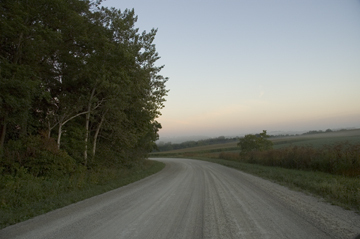 A drive through the Minnesota countryside introduces you to a land of Old World Lutheran churches, cafés with daily hot-dish specials, and other charming local attractions. Now an innovative website devoted to authentic travel, Greenroutes.org, can help you plan such a trip. It’ll guide you to Spring Grove, where you stroll down a Main Street that feels more Norwegian than American, then to a tour of a more than 100-year-old plant where soda pop is made the old-fashioned way (with cane sugar...and no caffeine). It’ll also direct you to a Native American café at a highway crossroad on the White Earth Reservation, which has buffalo and wild rice on the menu. Greenroutes.org is the brainchild of Minnesotan Brett Olson, who conceived the idea after going on camping trips in the West and on a voyage exploring beyond-the-guidebook sights in Europe. He and several friends thought it would be fun to do the same thing back home and went to work finding unique attractions that promoted environmental, economic, and social sustainability. The site now details more than 110 unique locations in Minnesota and Wisconsin, which was just added recently. Next up on the Greenroutes.org agenda: the states of Washington and Arizona, and upstate New York. After considering images taken by a wealth of talented amateur photographers, our judges chose six winners in Traveler's first-ever Great Outdoors Photo Contest. Grand Prize winner Hillary Atiyeh's travels have taken her from her home in, Lyon, Oregon to Holland, Lebanon, Cambodia, and beyond. While on a live-aboard diving trip in Indonesia photographing fish and coral, Atiyeh snapped photos of these local children. "The kids are always the curious ones," she says. "They were playful and I found them much more interesting to photograph than the fish. I think they thought I was interesting, too." 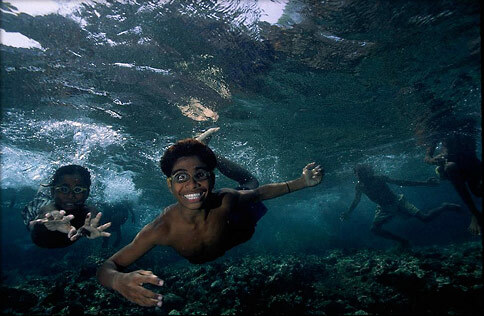 When photographing this scene in Indonesia, Atiyeh was on the small island of Alor. The kids there make their own goggles using coconut shells, glass bottles, and rubber bands. "Alor is a very obscure place," says Atiyeh of the Indonesian island. "Rarely do [these kids] see anyone visit the island, let alone someone who can breathe underwater." She ran out of film, but stayed as long as she could to play with the curious kids. "Even though there was a language barrier, laughter is universal," she says. Atiyeh won a seven-day trip for two to the Big Island, Hawaii, including six nights at the Waikoloa Beach Marriott Resort & Spa on the Kohala Coast, two round-trip tickets from Honolulu to Kona on Hawaiian Airlines, a Budget rental car, and one dive with Jack's Diving Locker. Check out the rest of the winners (and their winnings) in our Photo Gallery, and sign up for our latest contest: World in Focus. (Entries are due by September 8th.) And you can polish your photography skills at one of our photo seminars, or click here for expert photo tips. Unbeknownst to many outsiders, several New Orleans parade krewes offer anyone interested the chance to be a member and ride in the floats. Applications are accepted on a first come, first served basis, and as Krewe of Pygmalion captain Jack Rizzuto puts it, "The earlier the better!" If you want to go all out, the historic Krewe of Zulu (officially the Zulu Social Aid & Pleasure Club) offers a 2009 Zulu Parade Package for $1,500. The hefty price is likely due to Zulu's status as a veritable New Orleans institution, started in 1909. The package includes everything you need to ride (costume, throws, make-up) in addition to not-too-shabby perks like insurance (yes, you might die), breakfast the morning of, and an invitation to the private Zulu Lundi Gras party (that's the Monday before Fat Tuesday). For an interesting side note, check out Zulu's checkered history involving coconuts and the law. (Eighth paragraph from the bottom.) Individuals are encouraged to contact Lester Pollard, Jr. or Don "Doc" Ganier for more information. 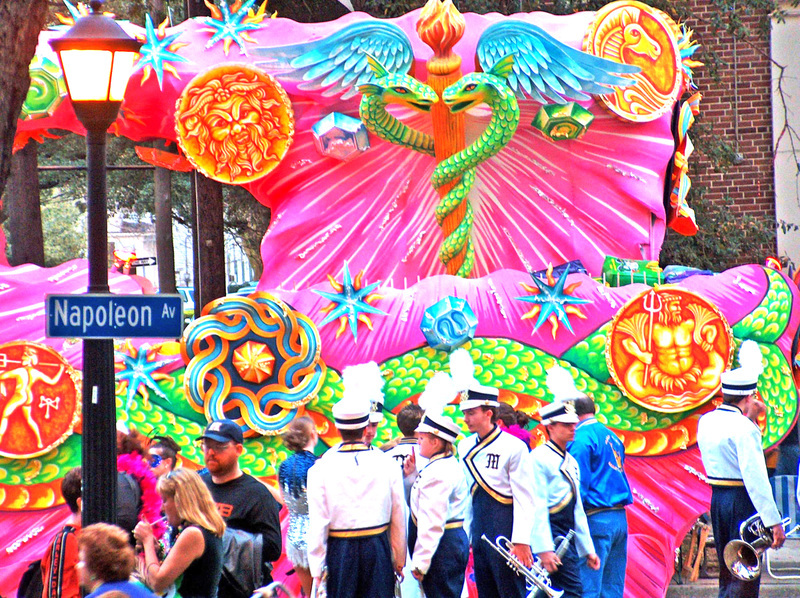 The Krewe of Pygmalion, relatively young at just 10 years old, is appreciably more budget-friendly with a basic 2009 membership rate of $­395 (ride, costume, and pre-party only) and a deluxe rate of $750 (ride, costume, lots of parties, and a medallion included). Scheduled for Friday, February 13, 2009, Pygmalion is the first parade of the year to grace New Orleans' famously beautiful main street, St. Charles Avenue. Contact Michelle S. Jones for an application. Rizzuto says the krewe will do everything it can to accommodate procrastinators, even if it means adding an extra float to the parade as late as a week before; but, he warns, "you might get stuck wearing a standard-sized costume." When you book early, you get full pick of all the offered sizes, ensuring you look your best for the special day. Sometimes I like to poke around the inner workings of National Geographic and see what our colleagues are up to. So I was very interested to hear about the launch of TOPO! Explorer from the NG Maps Division. Some of you ardent hikers out there might already be familiar with National Geographic's mapping software, which you can purchase at local sporting goods stores and use to create your own trail maps. Well now it's available online. "It's the YouTube of trails," boasts Mike Dyer, who's overseeing the project, and I have to agree, its pretty incredible. 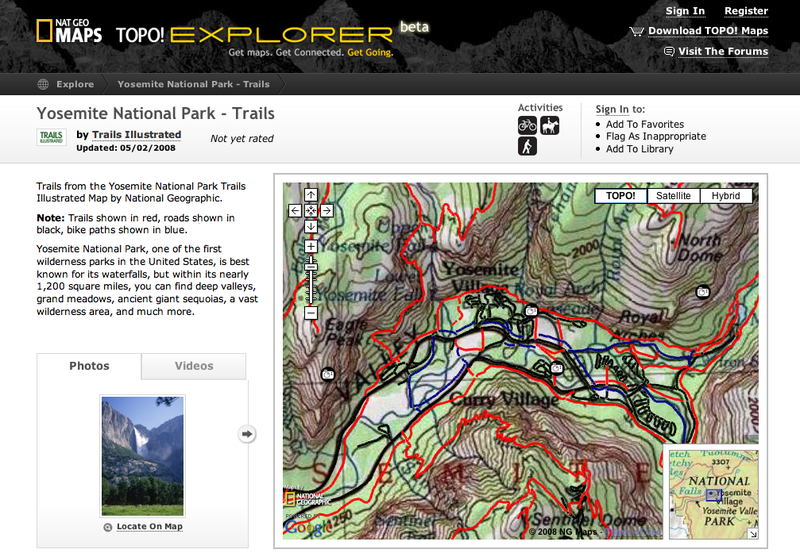 In its first few days, they've already mapped over a million miles of trails. Continuing their partnership with the U.S. Geological Survey, the new site, launched at the end of last month, lets you explore hundreds of topographic maps and (just like YouTube) allows you add your own favorite trails to the mix. Say you want to find a great hike (or bike ride, or place to swim, or fish) in Yosemite while you're there this summer? With the desktop application, you can browse detailed maps, save them to your folder, and view them whenever you want. They can then be downloaded to your GPS device, or you can print out a usable field-ready copy. A printed or downloaded map is bought with a "map credit," which costs $1 and comes in an initial package of 25, along with the free desktop application. Or, alternatively, if you brought your GPS device with you on a hike and plotted your points, you can upload your journey and share it with the site, and add video and photo pinpoints from your route. And since it's an online community, you can discuss upcoming hikes, great bike rides, and amazing hidden waterfalls in the forums. I'm planning a trip to Boulder this summer, and now I'm psyched to have a way to plot out my trip. You can purchase the printable and downloadable maps by buying TOPO! map credits, but here, as a way of showing off the new site, we're offering ten free mapcredits (a $10 value) to the first five people to submit comments below. Be sure to include your e-mail address, so we can reach out to you with the code. Happy hiking! Want more Maps? Check out Contours, the blog from NG's Maps Division, and National Geographic Magazine's always informative Map of the Day. Keeping Up with the Jensses: How Do You Do It? In just a few weeks, Rainer Jenss and his family will begin their year-long around-the-world journey (which they'll be blogging about here on IT). The questions he's most often asked: How exactly do you actually plan such a trip? Here, Rainer gives us some of the lessons he's learned so far, and explains what, exactly is an ARUNK. 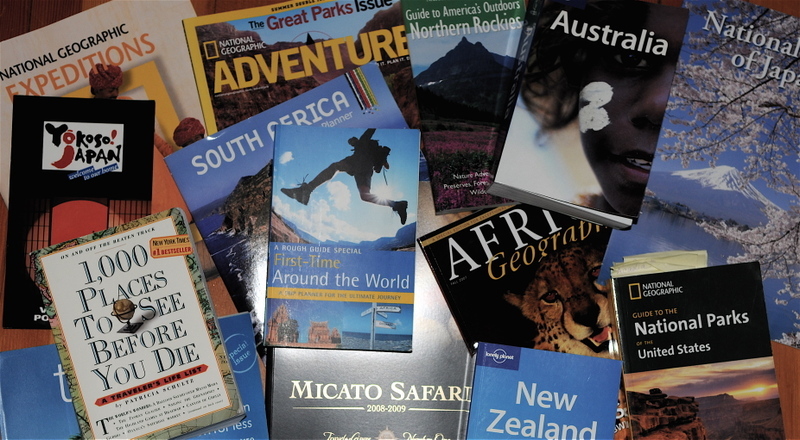 Designing an itinerary for an around-the-world trip for someone with wanderlust is like sending a kid into the proverbial candy store. Planet Earth has a ton of variety to choose from. You just can’t have too much too fast, or you might get a bellyache. Step One: Find an airline network that suites your needs. We chose the Star Alliance program because it covers most of the destinations we are interested in and allows us to backtrack if need be (some programs require you to travel in one direction only, east or west). The rules are a bit challenging, but basically we need to start and end in the same country, travel for up to a maximum of one year, not exceed 39,000 miles, and fly no more than 16 segments. But here’s the catch: We have to be very mindful of the cities we select because if we don’t fly in and out of the same one, the miles between them go toward the 39,000 and count as a segment. For example, we want to enter China via Beijing and depart from Shanghai. But even though we don’t plan to actually fly from Beijing to Shanghai, the miles are added to the trip’s ‘odometer’ and a valuable segment (known as an ARUNK, or Arrival Unknown) is eaten up. This is a particularly important consideration, for if you take too many ARUNKS, it can limit the total number of destinations we can actually include in an itinerary. Much of the travel photography advice culled from the Internet is less than reliable. Here at the National Geographic Society, we have the unparalleled advantage of working with some of the world's best photographers. Here—free for the taking—we present you weekly trinkets of travel photography wisdom from our esteemed experts. Happy shooting! The best light is in the early morning and before sunset. But good light also depends on location and time of year, so plan your day well. Don't be afraid of bad weather: You can get a great light in fog and when the sky is dark and stormy. Resist the temptation to use higher ASA film when the light fades. Instead, work with higher contrast, slower-speed (50-100 ASA) film. You might get fewer good shots, but the ones that turn out will be spectacular. MORE PHOTO INFO: For more photography tips from National Geographic Traveler photographers, click here, or sign up for one of our travel photography seminars. Plus, join our Flickr pool, download Traveler's free photo of the week for your computer's wallpaper, and navigate photography websites like a pro. 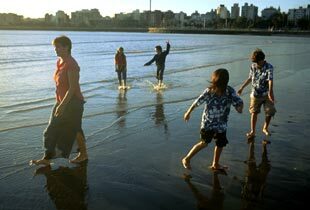 Photo: A family frolics at sunset on Playa Ramirez beach in Montevideo, by David Alan Harvey, published in the November/December 2002 issue of National Geographic Traveler. Reader Pauline Mankoff wrote the Traveler staff a few weeks back, asking for any advice or help we could offer her for her upcoming, but yet-to-be-planned, trip to Ireland with her children and grandchildren—eight travelers in total. The family doesn’t currently have a computer or Internet access, and with seven weeks and counting until the presumed departure date, Team IT came to the rescue. “We want to fly into Shannon, in mid- to late-August, for eight to ten days,” she told our researchers over the phone. Mankoff herself has already visited Dublin, and would like to show the kids the “the historic sites, the genuine Irish culture,” she explained. Okey dokey. A lofty assignment for this first installment of Ask IT, but we were all over it. Mankoff told us she was looking for inexpensive lodging and budget and family-friendly activities. “Nothing luxurious,” she warned. Many of Ireland’s most authentic sites are free or have only a nominal entrance fee, from castles and churches to prehistoric sites and hiking and biking trails. 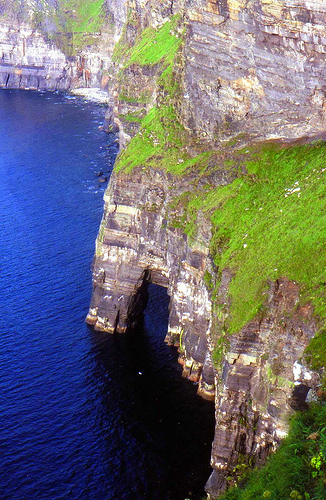 Plot your itinerary at DiscoverIreland.ie, where you can hopscotch by county through Ireland’s offerings. Remembering Mrs. Mankoff’s words, (“budget, budget, budget!”) IT recommends the family find a vacation rental, first and foremost. And don’t city-hop too much. Not only will that add transportation costs, most vacation rentals are more economical the longer you stay. Plus, in rural Ireland, eight people lugging ten days' worth of luggage would be an unnecessary pain. But in which city? We’ve offered up a few suggestions (Cork, Dingle, Galway), all located within three hours (by train or bus) of the Shannon airport. Choose wisely. We know, Crocs aren't everyone's favorite footwear, but there's no denying that these love-'em-or-hate-'em shoes could come in quite handy (or footy, if you will) during your summertime boating or beaching adventures. And now there's one big reason for doubters to overlook the shoes' questionable appearance and fad fashion status: Crocs are becoming quite the eco-friendly pair. These recycled shoes are loaded into containers and are picked up at the warehouse by our shipping partners, who then send them to approved non-profit organizations around the world. SolesUnited has set its 2008 donation goal at 2 million. You can find the nearest participating retailer here, or look into the program's mail-in options if there are no stores near you (or if you'd like to remain as carbon neutral as possible and avoid driving). And the company isn't stopping there. This year, a line of SolesUnited recycled Crocs was unveiled to the U.S. public, coming in an all-khaki color and marked with a special "recycle" tag. 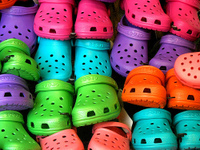 And for each pair of recycled Crocs purchased, SolesUnited will donate a pair of shoes to its worldwide donation program. So if you're aiming to reduce your carbon footprint during your summer voyages, don't overlook your feet. Photo: Crocs displayed in a shop window in Parma, Italy, via Zé Eduardo on Flickr.